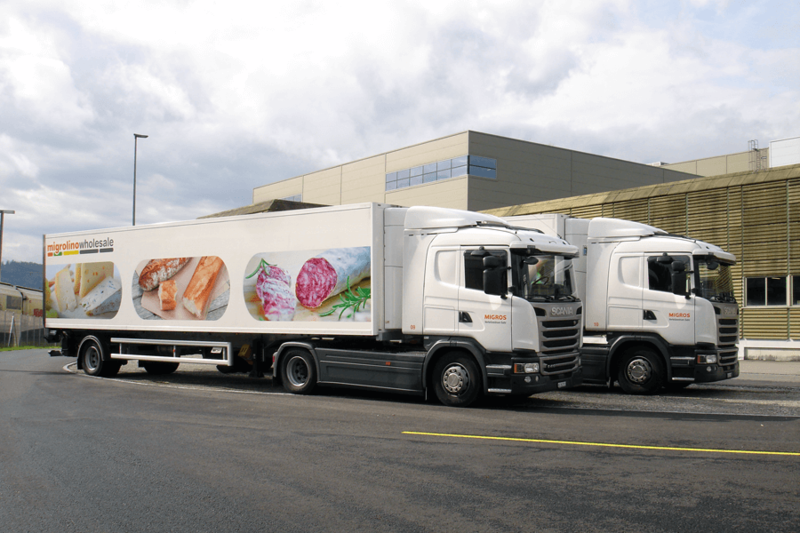 Speed ​​and quality assurance are essential when transporting frozen food and other fresh produce. 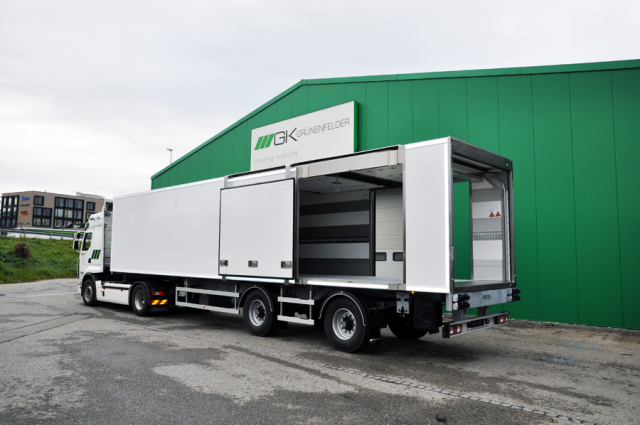 Accordingly, the requirements for the manufacture of refrigerated vehicles are high. 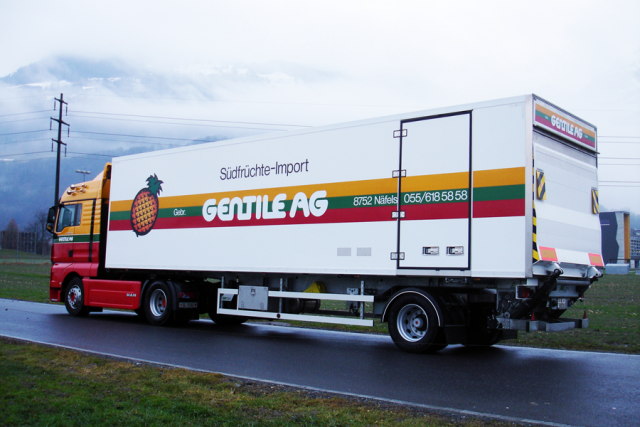 With our products, we ensure that the goods of our customers arrive safely, quickly and freshly in Switzerland's grocery stores. Speed ​​and quality assurance are essential when transporting frozen food and other goods. 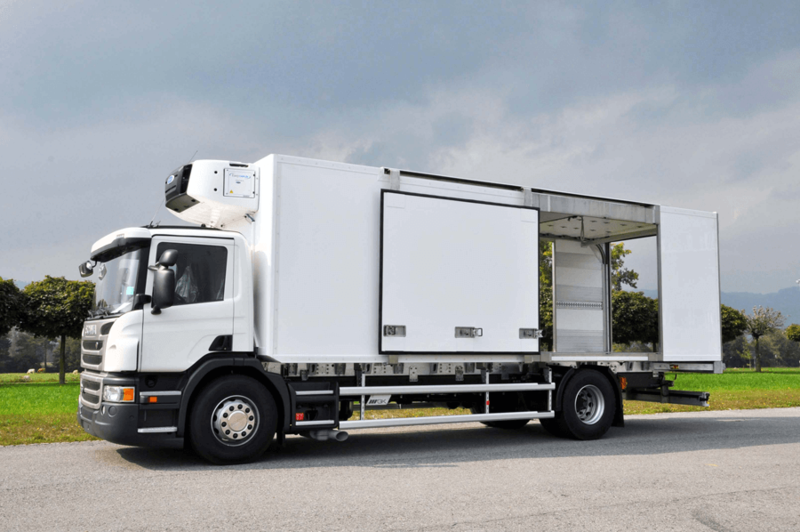 Accordingly, the requirements for the manufacture of refrigerated vehicles are high. The vehicles are strongly loaded by repeated loading and unloading. The materials must be able to withstand these stresses in order to guarantee a functioning cooling chain. At the same time, the chauffeurs have to make the handling of the vehicles as easy as possible in order to avoid time losses. 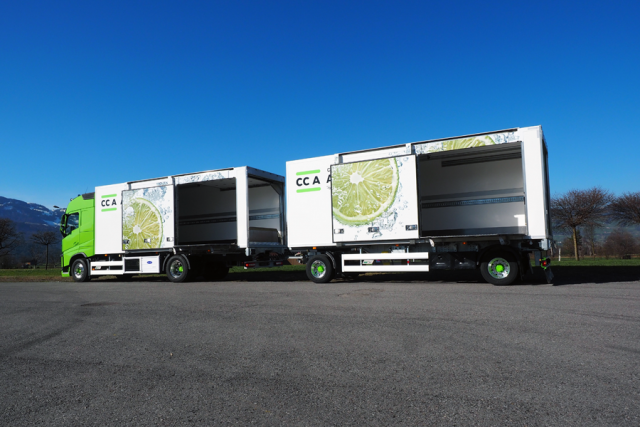 With our refrigerated vehicles, we ensure that the goods of our customers arrive safely, quickly and freshly in the Swiss grocery stores. We focus on the individual product requirements of our customers, which result from geographical as well as infrastructure-specific differences. 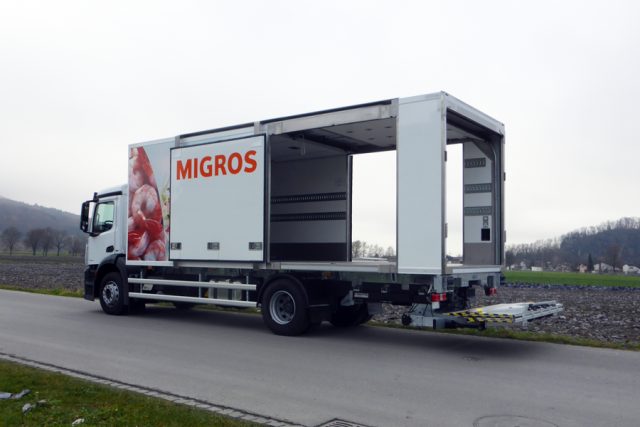 For urban areas, for example, agile vehicles with a low height and narrow width are suitable. 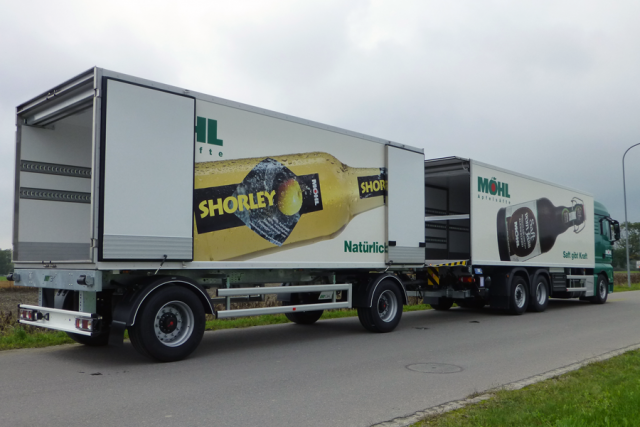 Customers who have to transport goods over further distances also have towing trailers and larger semitrailers in the car fleet. The equipment also varies widely between customers, who opt for or against sliding doors, lifting platforms or roller doors as required.